In 2234 men are extinct, having been deemed unnecessary. 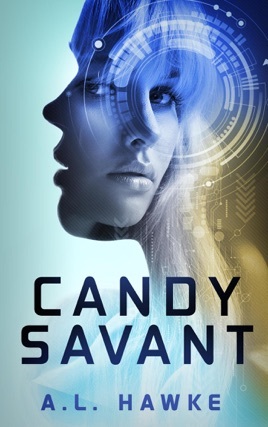 This is the story of Candice Harlow, a brilliant young scientist arranged by Arkite's supreme ruler, Elise Jackson, to lead the Savant project. A.I. is forbidden to experiment with human genes, so it enlists researchers—Savants. Savants work to create a human being from scratch to serve as a blueprint for immortality. Candice likes her newfound wealth and status, but she's not sure she likes Elise. Elise is unhinged. She's manic, has a furious temper, and seems to care more for Candy's dollface than her scientific aptitude. By day, Candy flies her bike to HQ laboratory. By night, she's whisked off to fancy restaurants and nightclubs. The project's genesis is not unlike Frankenstein's creature. Though not hideous, the creation is shunned by the all-female society. Candy shelters and cares for the creation, but not before she's unfairly betrayed and accused of the worst possible crime. I usually don’t read these type of books, but my friend recommended it and said it was worth the read. From the beginning I was left with... oh my! It was easy to relate to the main character, Candice.